I was suprised and tickled to hear from my old grade school buddy, Lou Diamond Phillips, weekend. We met up in the 3rd or 4th grade while I was going to school overseas (Subic Bay - My Dad is retired Navy). Like me, Lou is mestizo or Filipino-American; although he has played nearly every ethnic and non-ethnic role out there. Until I am reminded differently, I will claim that along with my childhood friends, Louis Steenson and Dana Campbell, I co-authored and acted in Lou's first stage production, "A Charlie Brown's Christmas in Subic" that we wrote and produced for our 6th grade Christmas Pageant. I think I was Charlie Brown and Lou was Linus. One of the great things about growing up in Subic Bay (USNS Republic of the Philippines) was that the everyone did everything at the same time. We all were in Cub Scouts together. We all played football. 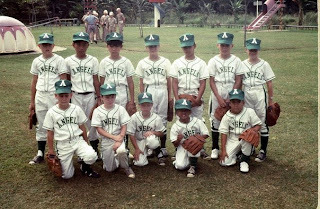 We all played baseball (see pic #2) and we all bowled, went to the movies, went trick-or-treating and spent Sunday with our families at the beach toegther. It was idyllic to say the least. The downside was - it came to an end. Since we were 'navy brats' we went where our fathers were stationed and in 1974 my dad was transferred to Washington DC (Andrews AFB). I stayed in contact with Lou, Louis and Dana for sometime but, as happens many times, we lost touch as we got older and started families of our own. The advent of Facebook and Twitter has really been an era of reconnection for me. I have a penchant (my wife says an obsession) with staying connected with everyone I have ever met: girlfriends, dude friends , classmates and teachers, employers and co-workers and, as many of you will attest, I have done a fairly thorough job. It was, however, a unique challenge to reconnect with Lou given the myriad of websites claiming to be his 'official' website and the barrier of protection that develop aorund celebrities. The last I heard from Lou and his family was when I married my wife, Dori, in 1993. Lou's Mom kindly sent us a card (and $$$) in celebration of our nuptials. Around that time Lou went through a divorce and shortly thereafter, I lost contact. I tried a number of avenues to get in touch, including e-mailing his publisher to no avail and finally gave up. Then this past Saturday morning, while warming my hands on my americano and wiping the sleep from my eyes - POP! 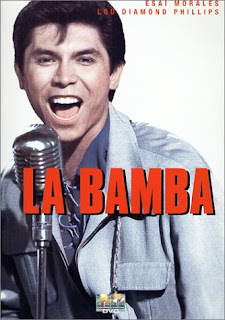 There was it was... a twitter tweet from LaBamba star himself. It was real Tweet Treat!